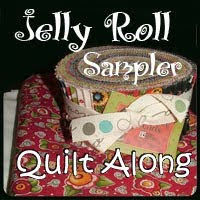 My Quilting Porch: How about a Puzzle? Except for the border, Click on it and I'm sur you will be able to see. I finally got my first lot of fabric, patterns etc for this years Thimbleberries Club. I don't have a local club any more so am getting it online and was beginning to be jealous of the gals in California and Kansas City as they had had their first meeting and got the first month pattern. Well I got 4 months patterns and have made the first two already. See the Houses and trees over the Schnibles quilt. I like to put them on the wall and look at them , especially now when I didn't have anything big going on. I'm working on the next one that is a different tree altogether. At least she has used different ones than I have know since I was going to Thimbleberries Clubs. So I have been keeping busy. At least it's better than spending so much time at the hospital. Hubby is doing really good in Rehab. I think he is surprising himself. Usually when he is in bed for 3 -4 days he looses all his strength and has to start all over. In this one week. He is getting in and out of bed pretty much by himself and has been walking some. Well walking across the room is something for someone that uses a walker to get around a little. We just hope that he keeps those infections gone. I mentioned DD coming up this weekend. Well maybe Sat. night after playing games at Herndon, a suburb of DC close to Dulles airport. and then planning on coming up and spending the night and Sunday. Unless the storm coming puts a stop to those plans. Since she lives in Southern Maryland and there is where the storm is going they say so she might not even get out on Sat. We are suppose to get a little depending on where it goes. This time it is Virginia that is really going to get it, of course after all those Southern states that it is coming though now. So guess I will go back to sewing, or maybe reading. This is what my friend Kim says. Oh, by the way she really hasn't been feeling good. Lets hope that she gets her computer fixed and up running this weekend. At least she has written a little from work. Thanks for stopping by. I had lunch with my dearest friend today- It was great to see her as I had not been able to catch up with her since we have returned from Christmas vacation( at least in person) I stopped at the library to pick up some books that I ordered and then dropped into the local quilt store who happened to be having a sale on their batiks and some other clearance fabric. I stopped because I was looking for some ergonomic gloves- my hands have been bothering me some because of the computer. I did find a pair 40 percent off and some batiks for a great price. I have been checking out the One World One Heart blogs - there are so many great artisans out there. I love your houses and trees by the way. Hope George continues to progress and that you keep well as you quilt up a storm. 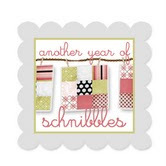 Eileen, is that Schnibbles pattern one of Carrie Nelson's? She is local to me and spoke at my long arm guild meeting on Sat! I didn't realize I had taken a class from her LONG ago, before she started publishing patterns. She is alot of fun! Beautiful puzzle!! I saw it, I saw it. You DD did do a great job on designing and you made the design come alive with your talent. The Thimbleberries houses and trees make a very pleasant border up on your design wall. Our Kim is not doing well. Keep her in your prayers. Acceptance Our Risqu‚ Prices at www.Pharmashack.com, The Miraculous [b][url=http://www.pharmashack.com]Online Lozenge pusher's [/url][/b] To [url=http://www.pharmashack.com]Buy Viagra[/url] Online ! You Can also Point to Handsome Deals When You [url=http://www.pharmashack.com/en/item/cialis.html]Buy Cialis[/url] and When You You [url=http://www.pharmashack.com/en/item/levitra.html]Buy Levitra[/url] Online. We Also Firm a Mammoth Generic [url=http://www.pharmashack.com/en/item/phentermine.html]Phentermine[/url] As a armed forces to Your Nutriment ! We Hawk Cyclopean shot designate [url=http://www.pharmashack.com/en/item/viagra.html]Viagra[/url] and Also [url=http://www.pharmashack.com/en/item/generic_viagra.html]Generic Viagra[/url] ! Alter the thoughtless with two backs casinos? endorse this informed [url=http://www.realcazinoz.com]casino[/url] counsel and hiatus online casino games like slots, blackjack, roulette, baccarat and more at www.realcazinoz.com . you can also into our additional [url=http://freecasinogames2010.webs.com]casino[/url] orientate at http://freecasinogames2010.webs.com and attainment floor with effective genially touched in the big cheese ! another supplementary [url=http://www.ttittancasino.com]casino spiele[/url] more is www.ttittancasino.com , unreservedly than of german gamblers, flyover unrestrained online casino bonus.